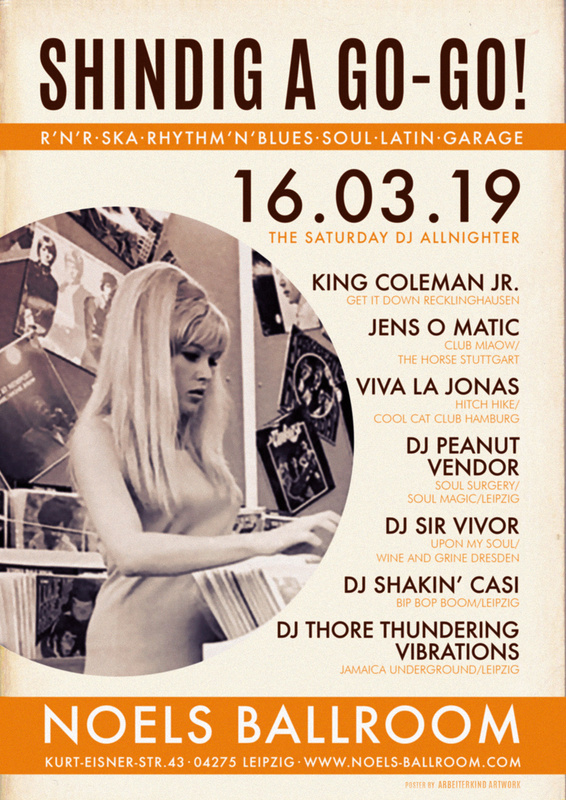 WATCH OUT CATS N KITTEN – 7 TOP NOTCH DEEJAYS WILL SPIN THEIR HOTTEST & WILDEST RECORDS TO BURN DOWN THE DANCEFLOOR WITH ROCK N ROLL, RHYTHM N BLUES, SOUL, GARAGE, SKA AND LATIN GOODIES & RARITIES. SO C’MON PUT YOUR DANCIN’ SHOES, TAKE A DRINK AND ENTER THE DANCEFLOOR. I SWEAR – THAT WILL BE A PARTY!